On paper at least, Puccini’s Tosca seemed like an odd choice for an opera company to make its debut in the arena of “semi-staging” However, with imaginative use of space, intelligent (and detailed) direction, good costumes, a first rate orchestra, choruses and a cast of singers, the possibility exists of the experience being greater than the sum of its parts. Such was the case with PORTopera’s second go at Puccini’s classic potboiler. With a 60+ piece orchestra taking pride of place on stage, only a narrow corridor of space toward the apron existed for the action to develop. A large wooden platform with a staircase leading to its top served, in the first act as the painter Mario Cavaradossi’s galley in Church of Sant’Andrea della Valle, (an enormous blank picture frame atop it), and in the second, as the parapet of the Castel St. Angelo for a changing of the guard, and the denouement of Tosca leaping to her death. 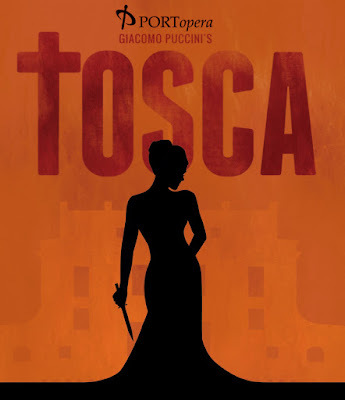 Challenged by the limited playing space, director, Dona D. Vaughn created an intimate Tosca that did not skimp on her customary excellence, her supernumeraries (scrub maid,, monk, Scarpia’s henchmen, et al.) enlivening and providing richly detailed action. Vaughn wisely embraced, and enhanced, the comedic elements of the first act which came off with the lighthearted naturalness of musical comedy, particularly the marvelous work from Thomas Hammons' genuinely funny (and warmly curmudgeonly) Sacristan, the romantic interplay between Tosca and Mario, and the children’s entrance. The children's chorus was a delight and one could not help but smile as as the kids circled and danced around the old man. All of this worked, of course, to heighten the contrasting, darker, more chilling aspects of the tale and make them more deeply felt without the use of maudlin manipulation to which this opera frequently falls prey. Adam Diegel, PORT’s excellent Pinkerton from several seasons ago, returned as an exuberant young Cavaradossi, his bright, enormously pingy tenor ringing out with amazing clarity over the orchestra. Despite Maestro Lord’s moving the score along, both of Mario’s arias elicited applause, particularly the tragic “E lucevan le stele,” which earned hearty cheers and bravos from the house, and his "Vittoria!" has rarely been more thrillingly sung in my lifetime. 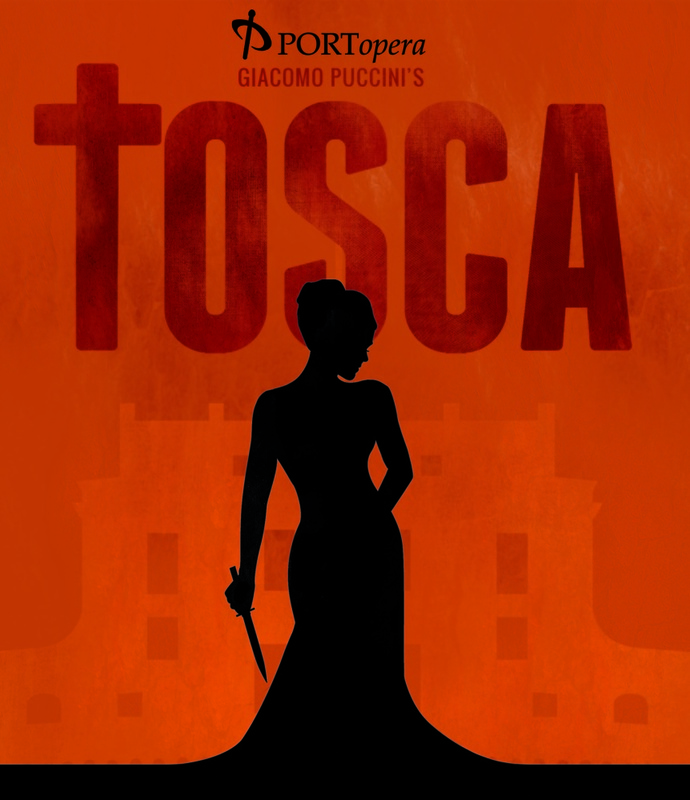 Alexandra LoBianco made for a lovely, winning Tosca presenting a softer, more coquettish heroine than the sometimes jealous, woman-on-the-verge as she's so frequently presented. 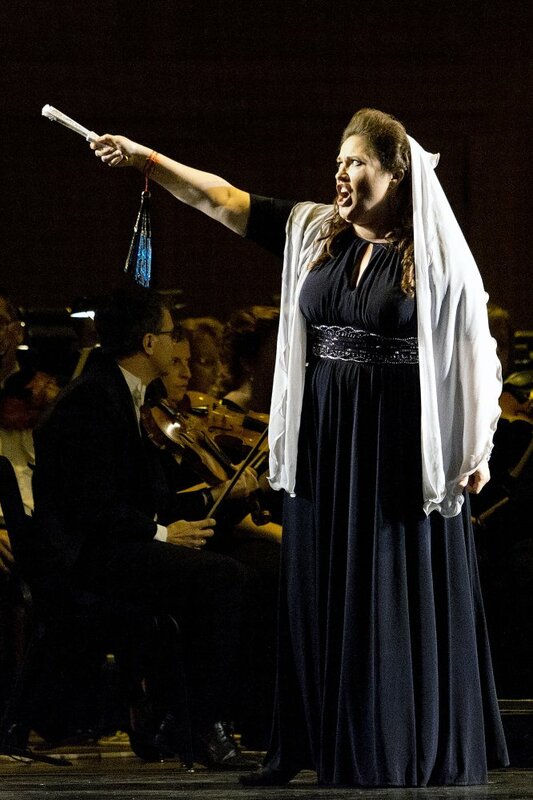 LoBianco offered a softer, more coquettish Tosca, a deliciously coy flirtatiousness tempering her jealous outbursts, making her vulnerable and her eventual harrowing predicament all the more wrenching. The first act duet with Mario garnered enough applause to nearly stop the action, and, I can state without hesitation, it's been many years since I've felt a certain "tingle" at the end of that scene. Luxury casting was found in the Scarpia of James Morris, whose voice, while showing signs of age, has Scarpia imprinted all over it. I wasn't the only one who wondered why he, alone, was in a modern tuxedo (I'm imagining a minor costume controversy may have been involved here) but the fact is he could've been donned in overalls or pajamas and one still was going to believe THIS was Scarpia. The self-important piety with which he entered, literally stopped the show in St. Andrea's. Alternating between subtlety and villainy Morris created a Scarpia who one sensed always got his way, his man . . . and his woman. Until Tosca. Mario's execution was made all the more gruesome by the addition of a coup de grâce, stopped at the last minute, the effect of which made the moment all the more chilling and, perhaps for the first time, made me wonder if the boy might actually get up and flee with Tosca. The ensuing moments of chaos worked beautifully (how nice to hear the vocal parts here, almost always eliminated by the Met and other companies) as Tosca is hunted and chased down before taking opera's most famous leap (LoBianco's "O Scarpia avanti a Dio" by the way, was positively thrilling). Over thirty years after I (a then a chorister) sang a tour of Boheme with him, it was an absolute joy to see and hear Thomas Hammons as the Sacristan, still potent of voice and ever the actor. Robert Mellon (Angelotti), Lucas Levy (Spoletta), Josh Quinn (Sciarrone) and Carina Di Gianfilippo (The Shepherd) all offered splendid contributions to the evening's proceedings. Maestro Stephen Lord's work with the PORT orchestra and choruses was exemplary, presenting Puccini's score as full-throttled and rousing as one could hope for, leading principals for whom he rarely hold to hold back or do much adjusting of volume for. On paper, this may have read as a "semi-staged" production, but for a packed house at Merrill Auditorium, it was a Tosca for the ages.